Owning a car has its perks. However, years of driving and a lack of maintenance can lead to a handful of problems. It can be anything — from simple hiccups on the road, the feeling that it doesn’t run like it used to anymore or even a white smoke that’s coming out of your tail pipe. All these and more indicate your car is in distress. One of the most common though, is a blown head gasket. Sure enough, the auto-repair shop breaks the bad news and it’s going to charge you around $2,000 to get it fixed. It doesn’t make sense to you and you’re this close to breaking down and regretting every buying a car in the first place. Before you go into a paranoiac overdrive and wish you just use Uber instead, let us tell you that there are a handful of other solutions you can try before burning a deep hole in your pocket. 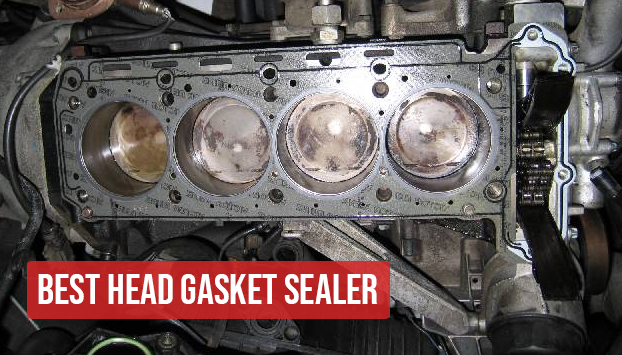 In this guide, we will let you in on what a head gasket is. Signs and symptoms of a blown head gasket are and what the best head gasket sealers are to fix your problem. We’ll also let you in on tiny nuggets of car knowledge along the way. Even if you have very little to no knowledge about this one, we’ll make sure you’ll be confident enough to repair it yourself. Besides, there’s nothing more badass than being your own car guy or car girl, right? Ways To Determine A Blown Head Gasket? Here are the different ways you can determine a blown head gasket. That’s It? You’re Going to Spend Thousands Now? What is a Head Gasket Sealer? Which Of The 5 Do We Recommend? Many of today’s vehicles are manufactured with an engine block and a cylinder with a head bolted to the top. In this area, you will find the cylinders, valves, rocker arms and pistons. 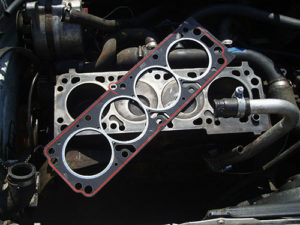 Between the engine block and the cylinder head lies the head gasket. It’s reminiscent of the plastic seal often seen in six-pack sodas or beers, just in case you’re wondering what it looks like. The head gasket exists to separate both the cylinder head and engine block so if one or two breaks down, they can be repaired individually. It needs to seal the coolant passages, oil passages and the area where the fuel, air, spark, and compression take place. Believe it or not, detecting a blown head gasket is fairly easy. Once you spot the signs and symptoms, you’ll be on your way to preventing it from becoming a full-scale problem or do an efficient quick fix to make it right. One of the most common signs of a blasted head gasket is an external oil leak. However, we often mistake these oil leaks as coming from the valve or somewhere below the transmision thanks to gravity. It’s best to check if there are problems between the oil passage and outside. If your patience is wearing thin from constantly adding coolant to your, you should be on the look-out for seepage below the exhaust manifold. Keep in mind: Visual inspection is not a 100% accurate method to determine a leak. Despite not seeing any visible leaks or the cooling system pressure test seems to rule out a water pump, it doesn’t mean the leaks don’t exist. Try checking that for bubbles in your radiator. If you see a milk-like ring around the cap, chances are your coolant has been mixed with your oil. It’s now contaminated, and can lead to graver consequences. You may see this also on your engine oil dipstick or especially, if you’re noticing white smoke coming out from your exhaust. We hate to tell you this but this one is totally a deal-breaker. What you need to do now is to have your head gasket replaced and your oil changed. It’s also good to give your engine a good cleaning beforehand because some of these symptoms are quite visible. A tinted spark plug is another sign. One manifestation of which is your coolant spraying out of the holes in your spark plug. Another indication is when you use a green coolant and there is a green hue on your spark plug. Again, the best thing you can do here is to replace the gasket. If your engine has been noticably running poorly, then it might be another sign of a blown gasket. You could experience a slow or unresponsive engine, a loss of compression or overheating. One more way to determine if you’re working with a blown head gasket is an excessive pressure that causes the radiator cap to blow off. It can also end up cracking your radiator tank or blow a radiator hose. Whichever is the weakest part of the cooling system is, it will fail and will eventually lead to bigger problems. This, my friend, is perhaps the most nerve-racking problem. 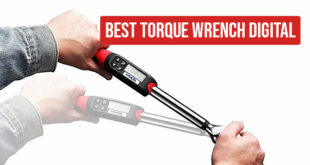 It brings the temperature too hot until it ruptures the metal ring around the piston, which can end up giving you a major migraine — and a massive bill to pay. All these and more can indicate a blown out head gasket. That being said, you’re not totally helpless when it comes to fixing a bad gasket. In fact, fixing the leak is one that you can defintiely work with. When all the indicators of a bad head gasket are present, such as poorly running engine and irregular overheating, you need to conduct an external leak test to check if your car or truck’s head gasket is giving in before it causes more damage to its nearby parts. Bear in mind that anything that speaks “engine” is quite touchy. However, nothing else can throw someone more shade than the severity and figured expense of replacing this part through a trusted mechanic. You need to brace yourself as it can make your brain twitch and your wallet cry. It varies greatly on the year, make, and model of the vehicle. The cost also depends on the size of the engine, not to mention it has more than one failure type on top of other possible multiple failures. Some symptoms are even more misleading. In other words, it can cost around thousands of dollars. Does it sound like a conundrum? Sure it does. The first thing that pops in our minds are, of course, the first-hand resolution depending on how bad the seepage is. The question is: Are there any easier ways and cheaper options? Yes, of course! This is when the head gasket sealers and sealants can save you from the distress of spending a huge chunk of money. Also known as a gasket sealant, a head gasket sealer is a spray, paste or glue that will not only keep your gasket in place. 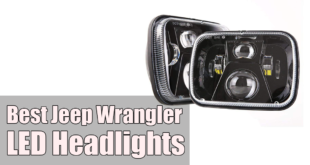 It also serves to combat fluid leakages and reduce the likelihood of your car parts from rubbing each other. Do remember that these sealants may wear out overtime. No matter how tight they started out, they may loosen up and weaken soon enough. That’ why it’s best to know which sealants are the best, and how to apply them correctly. Even these automotive repair products have different “special” elements that are not the same as the others. Some are specialized with properties suitable for aluminium, cast-iron engine blocks & cylinder heads. Moreover, there are brands that are not compatible with antifreeze, and, or not requiring to remove thermostat or drain the cooling system. This is exactly why you need to find the right sealer and learn how to put it to use. Don’t fret. We’re here to help you every step of the way. Once you’ve chosen which sealant you want to use, here’s how to apply it effectively. Before you gush all the liquid in, always shake the bottle to ensure you have the product mixed thoroughly. Flushing is recommended but may not even be necessary unless the system is dirty. However, we still recommend it. Drain and flush your radiator using either a flushing agent or 2 gallons of distilled water until the fluid that drains out of the radiator is clear. Before you give it a whirl, fill the radiator with water but leave enough room for the recommended amount of sealer. Some vehicles, depending on its number of cylinders, may need a larger amount of sealer particularly the 8 and 10 cylinder vehicles. After 30 minutes or so, let the engine cool and flush out the head gasket sealer. Check the temperature. If the heat backs off and hits the right range you can hit the road again in no time but keep observing it for a couple of days for any leaks. 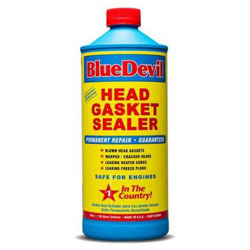 There are a lot of head gasket sealers available in the market. One that could serve you poorly may work better for another car model. Factors like compatibility and the number of cylinders you’re working with are what you should account for. So remember to choose the right one that best suits your car. It won’t hurt asking a professional on this one. After all, that’s better than wasting your money and creating more problems. Here are our personal recommendations on the five bet head gasket sealers you can use. This is without a doubt the most trusted brand of sealant in the market today, especially for cars with 4 or 6 cylinder vehicles. What gives this name “The Boss” reputation? It boasts of a design that favors the non-auto savvy well. Furthermore, it’s made for a very easy do-it-yourself solution. The BlueDevil Pour and Go is popular because it eases the difficulty level of applying and sealing the gaps . It may not be a permanent fix but it has a formula of high-temperature adhesive that includes sodium silicate has a remarkable high success rate among many users. This may not be the number one but it surely does deserve the second spot as the alternative solution to BlueDevil. Compatibility plays a huge factor in choosing the right sealant. 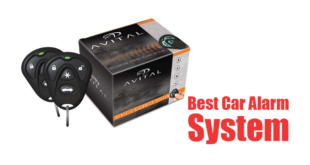 Whether the vehicle is using gas, diesel, turbocharged, and racing engines, with 4,5,6,8, or even 10 cylinders, it works very well. This is precisely what makes the Bar’s Leaks Cooling Sealant a great choice. This brand comes with a professional grade. Moreover, this particular sealant is highly recognized for its compatibility with various engines. It highlights its “Xtreme Cool” patented ingredient that helps decrease the water temperature and stops the overheating of the engine. 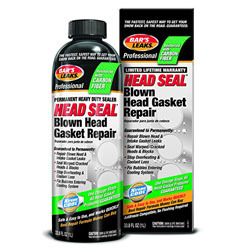 Another sealeant choice is the Steel Seal Blown Head Gasket Fix Repair Sealer. 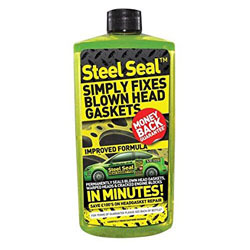 If you are already in a conundrum trying to find a simple do-it-yourself pour -in head gasket fix for your 6 cylinder motor, this stuff really works. Regardless if your vehicle is gasoline or diesel, this product has the proven ability to deliver a strong “seal like a steel” effect. It holds up perfectly under normal driving conditions, even when using your car’s air conditioning system. Plus, what we like about this product more is that the company offers a money-back guarantee, just in case you are highly suspicious of a fix in a bottle. That itself is an additional reason as to why this product is worth it. 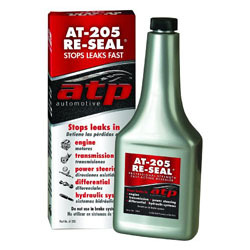 Ranking number 4 on the list is the ATP AT-205 Re-Seal Stops Leaks, 8 Ounce Bottle. What is it thatmakes this product a very competitive sealant? If you are using petroleum distillate rubber conditioners, apparently, it can oftentimes weaken rubber seals. This stuff however, is non-toxic. That’s a mssive plus to us! After all, who wants something that can breakdown seals like a mush over time? This is another amazing product with an exclusive formulation that is highly recommended to eliminate oil leak. Other than that, it isn’t harsh to the internal bearings and components. 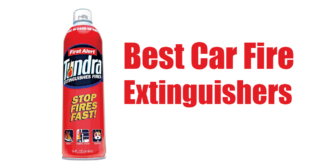 With just a full 8oz bottle it can treat a 6qt capacity with maximum success. 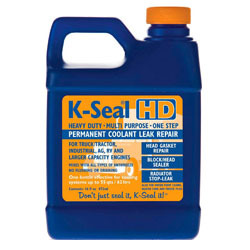 Last but definitely not the least on our list is the K-Seal ST5516 HD Multi Purpose One Step Permanent Coolant Leak Repair. What is it that makes this sealant brand quite special? It is reported to fix a leak problem in 3 minutes. Yep, you read that right. It’s as quick, easy and effective. Believe or not, it has proven itself to fix a problem within the said time frame. One of its advantages is it can mix with any kind of antifreeze, which not all sealers are capable of. It also eliminates the hassle of draining or flushing. What better product that is as simple as “pour and go”? It potentially saves you time and saves you and your wallet the pain in case you get stuck in the midst of a panic trip. These are the plus factors that gave this sealant a high recognition. Applying the right sealant is relative. It really all depends on how bad the leak is and the type of vehicle you have. These products are all worth a shot if you want to skip the dirty work. There are a few skeptic vehicle owners who do not want to rely on head gasket sealants and sealers because they’re afraid that such chemical solution might create more problems in the future. This concern has reached the attention of many automotive product manufacturers, which is why they came up with non-toxic formulas. If you are very conscious about its additives wearing out your rubber seals, you can choose a non-toxic sealer like ATP AT-205 Re-Seal Stops Leaks. 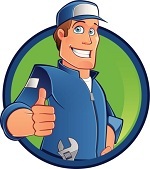 If you do not have the patience of a saint, you might as well get the quickest fix that is offered by K-Seal. However, the majority of people who are in need of more help resolving a leakage problem without blowing off money are the non-auto savvy. Thankfully, the BlueDevil and Bar’s are the most competitive brands for a reason. Both hold the most user-friendly formulations that provide faster results among the five products on this list without breaking the bank. Plus, they are very popular because they have a high success rate among users. Blown head gaskets shouldn’t be a foreign territory if you drive a car. Consider this guide to help prevent and fix it in the future. Who knows? You might just find yourself helping a buddy out too soon enough.